BOL, Chad – Halima Yakoy Adam was once a human bomb. When she was only 15, her husband brought her to an island near the border of Nigeria. They were going on a fishing trip, he said. Instead, he took her to a Boko Haram training camp where she was ordered to become a suicide bomber. When she refused, she was threatened with immediate execution. Along with three other girls, Halima was drugged, strapped to an explosive device, and sent to a crowded market in the western Chadian city of Bol. They were quickly discovered. But as locals tried to arrest them, one girl escaped. The two others detonated their explosives, killing themselves and severely injuring Halima. Halima was brought to a hospital, where her legs had to be amputated. After months spent in captivity, she was released to her home community on Ngomirom Doumou Island, in Lake Chad. But her ordeal was not over. Girls held by Boko Haram face enormous stigma. Many are abused or cast out. Fortunately, Halima was able to find help. 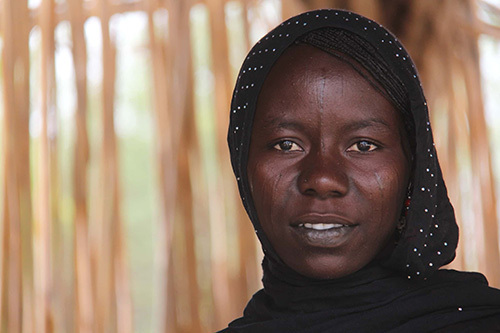 On the islands of Lake Chad, UNFPA operates several rehabilitation programmes for survivors of gender-based violence, including survivors of Boko Haram. These women and girls receive health services, information about their rights and bodies, and vocational training to help them re-enter society. Halima was able to receive care, and she learned to perform paralegal work. Today, at age 19, she is a paralegal working to help other women and girls. "I really like what I'm doing now,” she told UNFPA recently. “I do not want other girls or boys to fall into the same mistakes as me, and to be embroiled in extremism and violence." The Boko Haram insurgency has left the Lake Chad region in a state of upheaval. 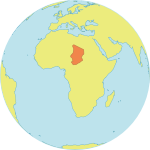 Across the Lake Chad Basin – including parts of Cameroon, Chad, Niger and Nigeria – an estimated 4.3 million people have been, or are currently, displaced, according to the International Organization for Migration. Thousands of girls and women have experienced violence – and not only at the hands of Boko Haram combatants. The crisis has undermined protection systems and increased strains on families and communities, leaving women and girls vulnerable to many forms of gender-based violence, as well as harmful coping mechanisms such as child marriage. 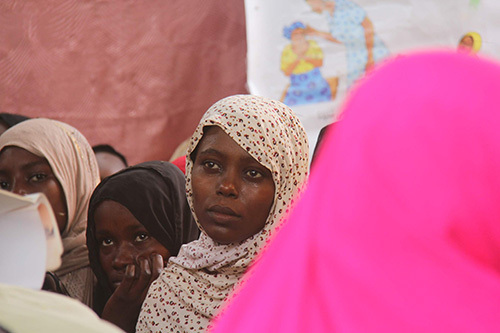 To serve these vulnerable women and girls, the Government of Chad worked with UNFPA and community-based partners to establish a ‘multifunctional’ centre in Bol last year. The centre offers sexual and reproductive health care, training opportunities and other support for women and girls in the community. Survivors of gender-based violence can receive medical, psychosocial and legal support, all free of charge. 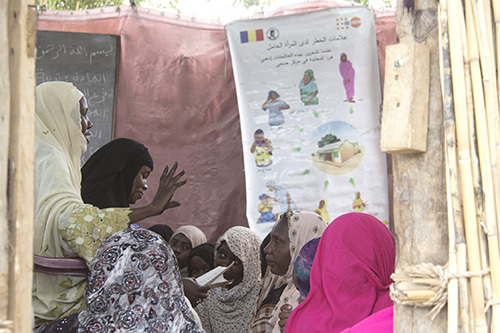 Women learn about their rights at a madrassa in the Lake Chad region. Paralegals are instrumental in finding survivors to inform them about the services available. They also hold education sessions for the broader community. "My paralegal training allows me to identify and educate islanders about early marriage and all forms of violence against women," Halima told UNFPA. Since June 2017, the centre has assisted more than 700 survivors of gender-based violence from Bol and the nearby islands of Gomirom, Ngalamia and Helia. Halima and her colleagues’ efforts to promote peace and advance women’s and girls’ rights are having an impact. They have helped women and girls secure justice through the court system, pursuing cases of sexual violence, child marriage and forced marriages arranged by Boko Haram. UNFPA is also working with community partners to end gender-based violence and advance sexual and reproductive health and rights. For instance, UNFPA is supporting the local League of Women Preachers of Chad as they advocate peace and security. Several initiatives promoting peace and women’s rights have been conducted in the area’s madrassas. "The girls and women who come here are trained in Islam and other topics, such as the prevention of radicalization and extremism, gender-based violence and also the empowerment of women by advocating family welfare," said Mariam Abakar Abdallah, the president of the women preachers’ group.